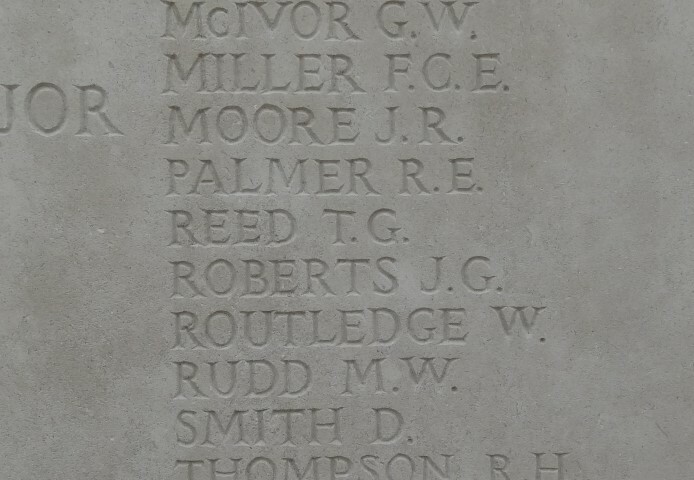 14564 Corporal Thomas Gilbert Reed, 19th Battalion, the Durham Light Infantry was killed in action 28 July 1918 and is commemorated on the Tyne Cot Memorial, Belgium, the Etherley War Memorial and the Roll of Honour in St. Cuthbert’s Church, Etherley. He was 23 years old and unmarried. In 1901 the family lived at Etherley Moor, Bishop Auckland where 41 year old Thomas worked as a coal miner (hewer) as did his oldest son 17 year old Stephen. By 1911, the family lived at Etherley Grange and 49 year old Thomas now worked as a farm labourer. Isabell assisted at home and no description of employment is attributed to 16 year old Thomas Gilbert or 14 year old Henrietta. Other siblings are not recorded as at this property. At a later date, Thomas and Ann lived at Front Street, Toft Hill. Thomas Gilbert Reed attested 8 September 1914 aged 20 years 3 months and joined the 14th Battalion, the Durham Light Infantry being allocated the regimental number 14/14564. He was then employed as a farm labourer. He undertook a medical examination 8 September 1914. He was 5ft 3” tall and weighed 98lbs. He had a fresh complexion, brown eyes and dark brown hair and considered fit for military service. The 14th (Service) Battalion was formed at Newcastle in September 1914 as part of K3 Kitchener’s New Army and came under the orders of 64th Brigade, 21st Division. 15 October 1914: Private T.G. Reed was promoted to Lance Corporal and 3 November 1914, he was promoted to Corporal. Having seen action in 1914 and August/September 1915 at Hooge, the Division was not involved in any major engagements until the Battle of the Somme 1916, particularly the Battle of Flers-Courcelette 15 – 22 September 1916. 14/DLI saw action at the Battle of Flers-Courcelette between 15 and 22 September and the Battle of Morval 25 – 28 September. Corporal T.G. Reed was wounded, GSW to the left ankle 28 September. This wound necessitated transportation back to England for treatment. The battalion was involved in the Battle of Le Transloy  but Corporal T.G. Reed took no part as he was recovering from his wound. He had served from 11 September 1915 to 5 October 1916, 1 year and 25 days in France then from 6 October 1916 to 21 May 1917, 228 days at home. Corporal T.G. Reed re-joined his battalion “in the field” 2 June 1917. He was to serve another year and 68 days in France until he was reported as “missing” 28 July 1918. However, he was to be wounded 31 July 1917 and again 3 November 1917. The 6th Division including 14/DLI saw action 15 to 25 August 1917 at Hill 70 and between 20 November and 3 December 1917 at Cambrai  but whether Corporal T.G. Reed was “in the field” cannot be deciphered. 1 May: 19/DLI withdrew to Hedauville then Toutencourt for training and recreation then went back into the trenches again 29 May, having lost 2 officers, the Quartermaster and 7 casualties in the ranks 2 days before by shellfire at Hedauville. Corporal T.G. Redd suffered another GSW in May 1918  so this action seems the probable cause of the wounds. 1 July: 19/DLI marched to Doullens then entrained for St. Omer and moved to billets at Tilques, moving to a quiet sector of the line – the Locre Sector. 27 July: night, a raiding party of 28 men from X Company led by Captain Smith MC accomplished a very successful enterprise. The enemy line was entered at 2 points. The trenches were full of men, either preparing for an attack or undergoing relief. In the fierce hand to hand struggle which ensued 20 of the enemy were killed and a machine gun was brought in by Captain J.W. Ryall and his servant. 2 prisoners were taken. No-one was killed, 2 officers were slightly wounded and there were 21 other casualties. Corporal T.G. Reed was reported as missing 28 July 1918. It would seem likely that since he was missing he was recorded as a casualty. 25 August 1919: Corporal T.G. 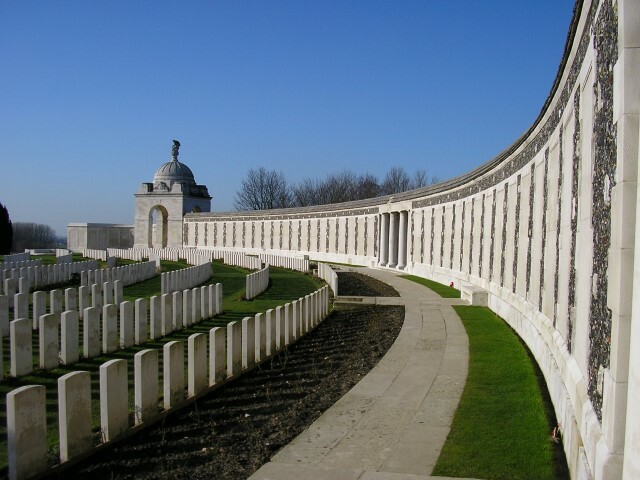 Reed was “Regarded for Official Purposes as having died” Date of death – 28 July 1918. Later research records that 2 Other Ranks were killed in action 28 July 1918, Corporal T.G. Reed and 23/337 Private J. Bushby. 75355 Private A. Whittington died of wounds 30 July 1918. Both may have been involved in the raid. 14564 Corporal T.G. Reed has no known grave. He served a total of 3 years and 324 days  and was awarded the 1914-15 Star, the British War and Victory medals.